Today marks the beginning of something new for Fab Fridays...interviews! I love getting to know people and how they do what they do and I am so excited to introduce these amazing artists and crafters to you as well. If you would like to be featured here, please leave your info on my Facebook page Mommy's Dream Blog Feature and I will be in touch! Our first feature is Melissa from MadeByMelissa. 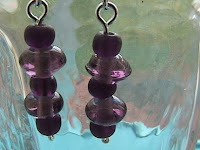 Her store is full of beautiful pieces of jewelry as well as crocheted items. Mommy's Dream: How did you get started with your craft/art? 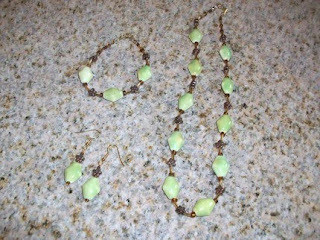 MadeByMelissa: I started making jewelry as a summer hobby when I was small. On the first day of summer, my mother would take us to the local Rag Shop and we’d stock up on our craft supplies for the summer months. 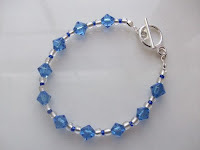 I started with embroidery floss friendship bracelets and matured into using glass, crystal and wire! When I was 10, my grandmother taught me to knit. I was terrible at it, but I wanted so badly to impress her so I tried as hard as I could to keep up with it. 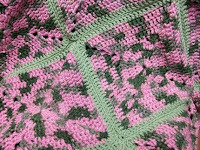 At 13 I learned to crochet and that really clicked, I picked it up very easily. I taught myself the more complicated stitches and how to read patterns. MD: What prompted you to set up a home-based business? MBM: I really just made too much jewelry for myself to keep, I needed to do something with it all and I needed money to go towards craft supplies! MBM: Creating is the best part – looking at your supplies and seeing what they can become and then sitting down and doing it. I also love doing custom orders, it’s a lot of fun to communicate with a customer and then make them the item that they really want. I’ve done quite a few custom orders for plushies and it’s always great to see the customer’s reaction when they get it. MD: How have you changed since starting your business? How has this impacted your craft? MBM: I started my business right after I got married – my husband worked in NYC and I worked in NJ. He often got home 2 hours after I did, so I made jewelry and worked on my business while I waited for him to get home. Now, I have a 3 yr old puppy and a 2 year old son and I’ve gravitated more towards my crochet products since its easier to crochet with them around than it is to work with beads and wire. I’ve also added amigurimi plushies to my shop and they’ve been great fun to make and to share with little ones. MD: What is the most challenging aspect of running your business? MBM: Finding time! I work from 9-5, I have a family and I am often quite tired! But I love to create things, so I make time to sit down and work on things. Another drawback (which is also an advantage at the same time) is that the only deadlines imposed on me are ones that I set myself, so if I don’t have custom orders or craft shows, I can let things slide and not create and list as much as I know that I should. MD: How did you come up with your shop name? MBM: My shop name is Made By Melissa, I wanted something cute, but at the time I was only selling my jewelry and I didn’t want to limit myself because I knew at some point I would want to add crochet items to my shop. I thought and thought and well, I figured – my name is Melissa and I made all these things, so Made by Melissa! Then I realized that its not really as unique of a name as I thought it was, by that time, I was fairly established and it didn’t seem worthwhile to change my name. MD: Where do you see yourself in five years? Where do you see your business? MBM: Wow, 5 years… my son will be 7!! I don’t know, really, my business has come so far in the last 4 years, I am excited to see where it will take me in the future. I’m just going to sit back and enjoy the ride! MD: How do you keep a balance between home and business responsibilities? MBM: Home and the 9-5 job come first, they have to. My son is still very young and still requires a lot of my attention, and I love it that way! After that, I focus on customer service – I answer emails and convos and blog comments and all that fun stuff, then after my customers are happy, I move on to creating. Its hard, but I enjoy all of my three jobs, so I make time to fit everything in, even though it can be very difficult sometimes! MD: What is the funniest/craziest/most touching thing that has happened while having a business? 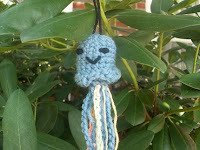 MBM: I’ve heard a lot of really sweet things since I started crocheting the plushies. I made them originally for my son, who now asks to adopt things that weren’t made for him – he’s taken over a turtle and a snake, requested a frog and is now campaigning for another turtle. I overheard him talking to his little zoo of crochet pets and he said “my mommy made you” and then he gave each one of them a hug. He also hijacked my potholders that I made, I also caught him hugging those as well. It's really sweet. I’ve sold quite a few plushies and then heard later from the customers that their kids love them and sleep with them a night. And that just really makes me so happy, just to know that something I made is giving a little one comfort at nighttime. MD: If you could give one piece of advice to others who are just getting started with their businesses, what would it be? MBM: Don’t give up!! The sales aren’t going to come pouring in just because you opened an Etsy shop. You have to promote, you have list things regularly, you have to take good pictures and all of that takes time to learn. And don’t be afraid to ask questions, we’ve all been there and many people are more than willing to help out. Thanks so much for the great writeup! Great article. Melissa has so many beautiful things in her shop. Wonderful interview. That's so cute about your son adopting the crochet animals! 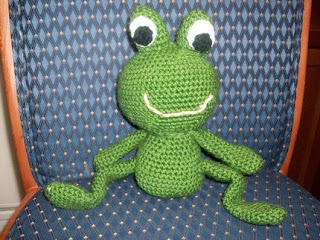 Nice interview and blog--Melissa has so many cute things in her shop--the crochet frog is adorable! Aside from how talented Melissa is (I love her scrubbies!...she made me Custom Bamboo ones)..she is a non stop source of inspiration and information and she is such a supportive friend. Great interview. I just love those crocheted animals! P.S. Following from the EtsyMom team.